Today, you will drive to explore two amazing and fabulous temples. The temple of pharaoh Seti I at Abydos, and the temple of Goddess Hathor at Dendera. 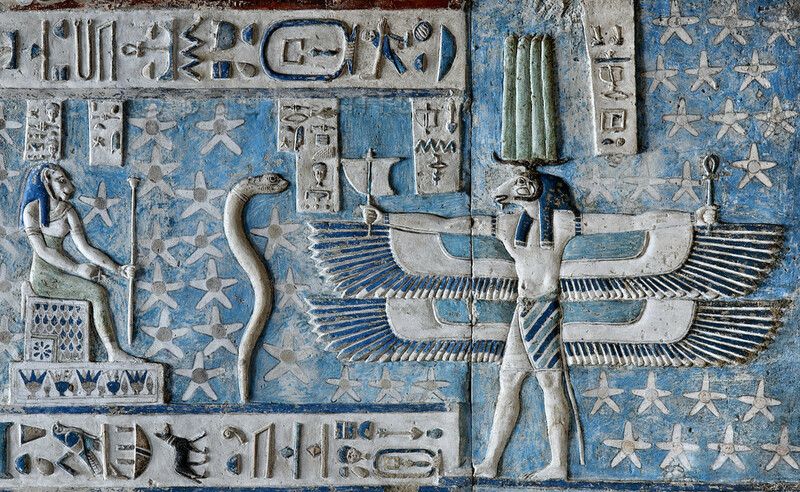 Abydos or ( Abdju ) was the center of the god Osiris ( god of death and eternity ). It was the pilgrimage center of ancient Egypt. Everyone had to visit it once at least in his life time. It was as well the center of the cemeteries of the 1st and 2nd dynasties. It was thought that Abydos was the gate to the afterlife. 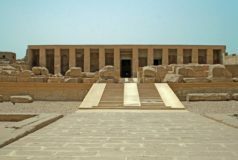 The temple you will visit there, is the temple of the king Seti I ( 19th dynasty ). 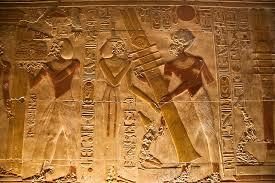 The temple was begun by Seti I and finished by his son Ramses II. Ramses II’s section is now damaged. The temple is very unique among the Egyptian temples due to the quality of the paintings. 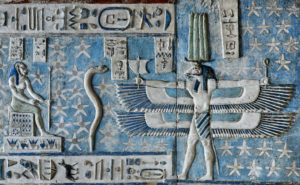 The temple was dedicated to seven deities, Osiris, Isis, Horus, Amon-Re, Ptah, Rehorakhty and Seti I as a god. There are some amazing scenes, you will admire their quality and their craftsmanship, such as the establishing of the djed pillar and the different offering scenes. One of the most important halls of the various halls and rooms of the temple is the Hall of Cartouches, which contains about 72 oblong shapes of the names of kings of Egypt from Menes to Seti I. It is very important chronological list. In the back of the temple is the Osirion, where it was thought that the head or the heart of Osiris was thrown there by Seth. Ramses II built a small temple, to the north of his father’s temple, but it almost ruined. NOTE: Photography in the temple of Seti I is without flash. The temple is dedicated to the goddess Hathor. Hathor (The Cow) was identified by the Greeks as Hera or Aphrodite. She was the goddess of love, dance, and music. Before you reach the temple, there are two structures in precinct of the temple, the Mamisi or “the birth house” and the Roman Basilica. The temple contains very beautiful scenes such as the representation of the goddess Nut, and the zodiac on the top of the temple. You will admire the good carvings in the crypt at the rear part of the temple behind the sanctuary. A pool with a Nilometer is to the right of the temple.